plus 30 freespins on steam tower! + 30 freespins on jack and beanstalk! 1a. All bonuses can only be received once per person, per household/IP, unless otherwise stated. 2a. Every user must make a deposit of at least €20 or 0.05 BTC in order to get the welcome bonus or any deposit bonus. This is how it works. Upon depositing an initial €20 or 0.05 BTC, a player automatically gets their first bonus. Once the player makes a second deposit of €20, 0.05 BTC, or more at Play.casino, second deposit bonus is offered. The third deposit bonus is offered in the same way. 2b. Every user can switch between currencies, but for that you need to activate the first step of the welcome package. For example, the player makes a deposit of €20, so the first step of a welcome package gets active, they can then claim the second step by depositing in bitcoins. 3a. Deposit bonuses must be wagered 50X times before the funds can be withdrawn. Unless otherwise stated. No deposit and free spins bonuses must be wagered 60X times before the funds can be withdrawn. 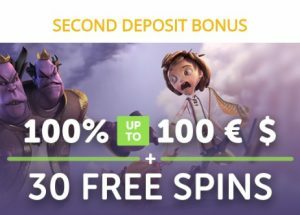 Minimum deposit €10 required to be able cash out from no deposit or free spins bonus. 4. Even prior to meeting the wagering requirements, you can request a withdrawal of your deposited amount. However, as a result of such action, all winnings and bonus amount will be lost. Warning! You spend your real money first when playing with a bonus. 5. 30 days is the term after which all deposit and free cash bonuses expire. 6. If the bonus expires, bonus funds and winnings will be lost. 7a. The player’s cash balance is used when betting. All the bets made by a player are deducted from it. However, in cases when there is no cash balance, the player’s bonus balance is used to deduct the bet placed. 7b. All players need to meet the play through requirements. Otherwise, the maximum bet that can be placed is €5, currency equivalent, or 25 mBTC (0.025 BTC) including double up wagers after the game round is completed. Wagering winnings from X game round on red/black, for instance. 7c. 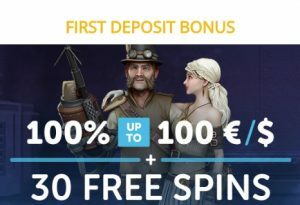 Maximum allowed withdrawal from freespins no deposit bonus or from no deposit bonus is 50€/$ or 0.05 BTC.